We have all come into one world and, undoubtedly from one inception, on a single conscious journey to one destination. A destination unknown to us all. A destination many Gurus on the subject of the afterlife claim to perceive. A destination almost all of us wish would be paradise. The Road to heaven, is the least travelled by most, for most are busy creating heaven at the semester. Those who wish to get back on the road to paradise must read this book. The beginning of our consciousness/Awareness, that is our life, seems to be in this physical and transient world, subject to space and time. Yet our consciousness convey from within us that we are nonphysical and immortal, which contradicts the reality of our transient physical life on earth. Unless we know our Origin, Purpose, and Status, how will we ever know our destination. 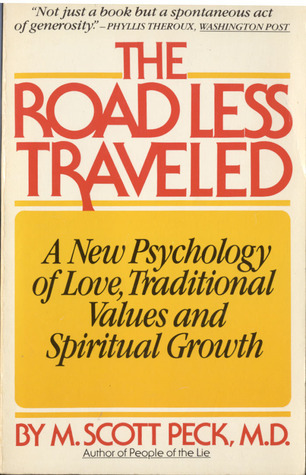 In his book The Road Less Travelled, Dr. Peck painstakingly describe our problems in facing up to our true identity, and suggest ways in which to overcome them. So we can perceive who we really are and know our destination and prepare ourself to enter The Next Dimension of our Consciousness (life). Sign into Goodreads to see if any of your friends have read The Road Less Traveled.